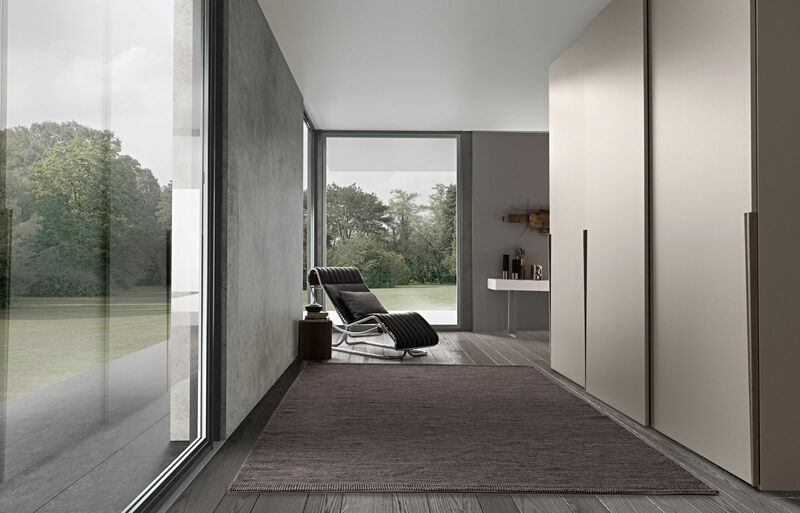 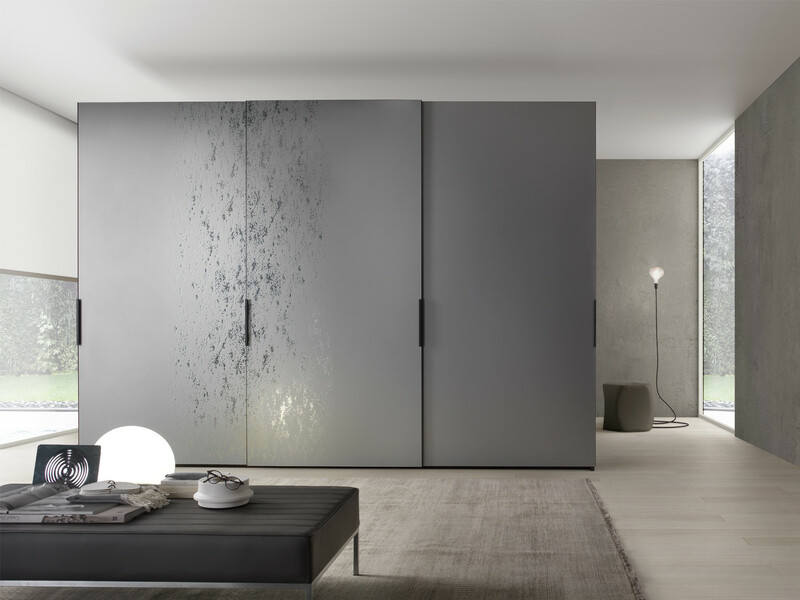 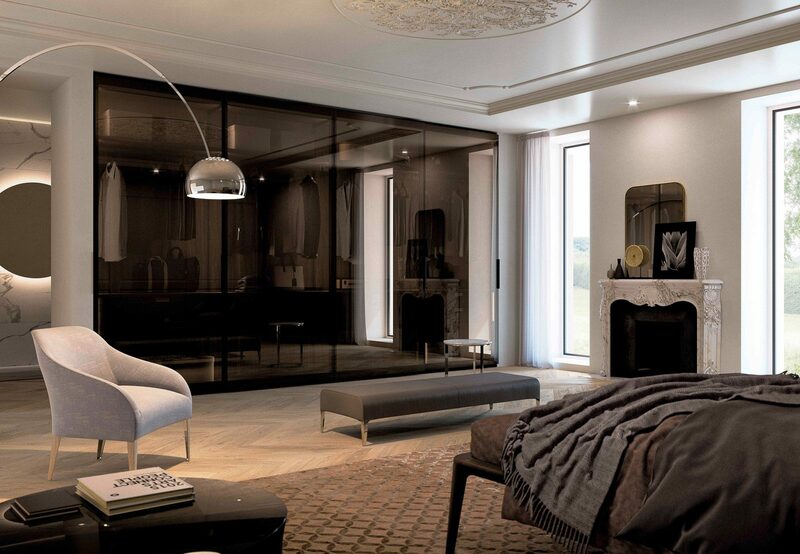 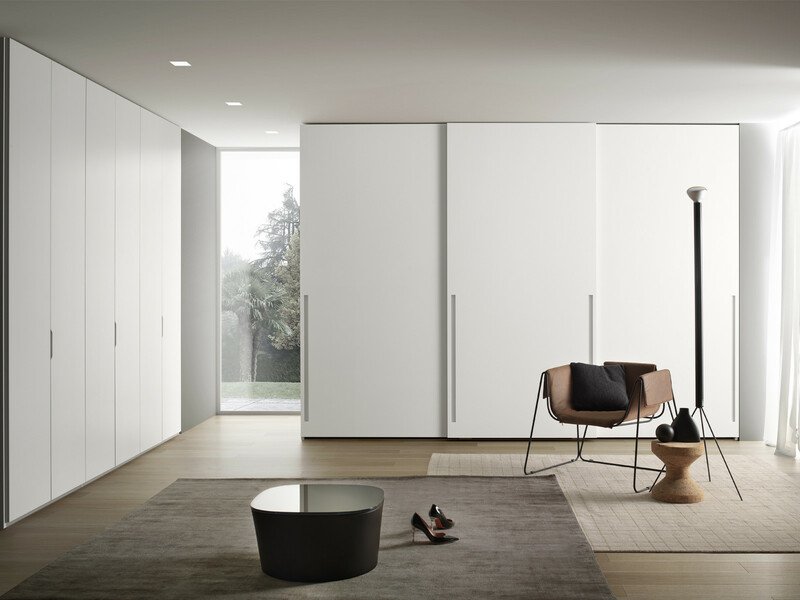 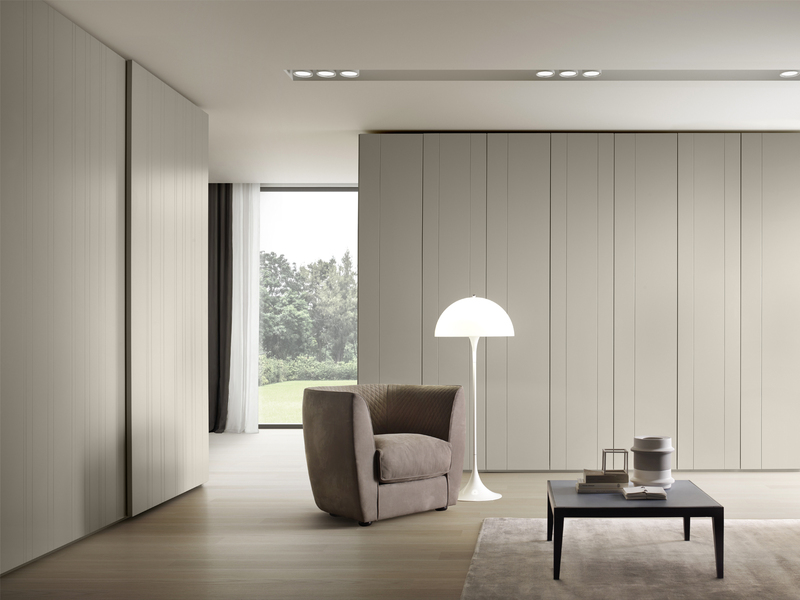 The Split door is available in two configurations - type 1 and type 2, depending on which way the big panels are divided. 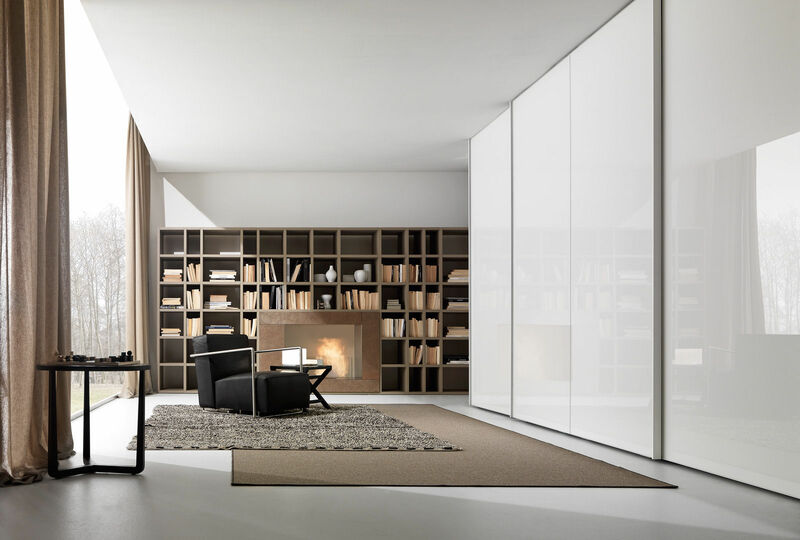 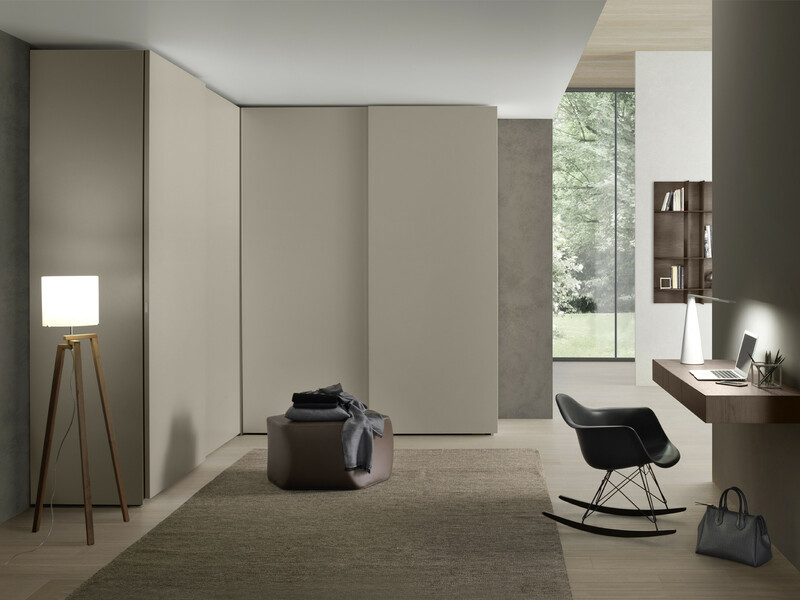 The inserts can be in matt or glossy lacquer, coloured wood, “Aged” oak, stone or covered in leather or Tecnoleather. 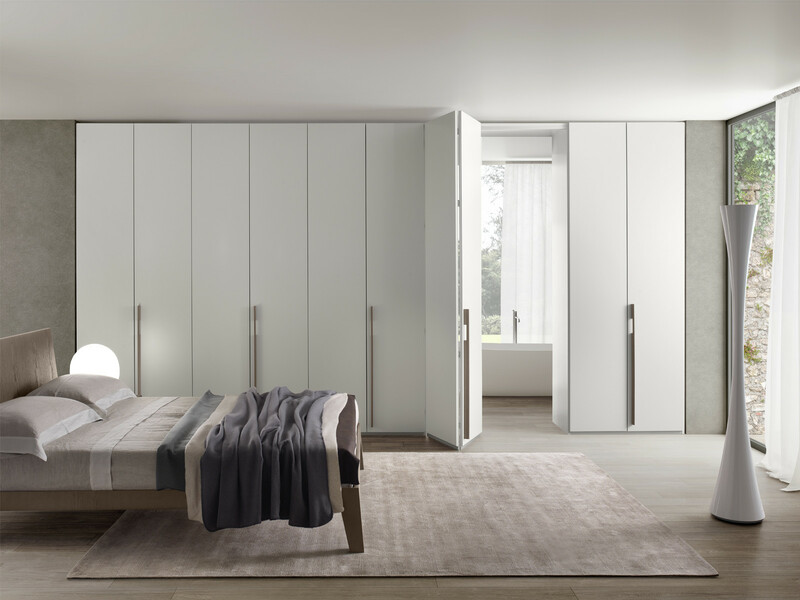 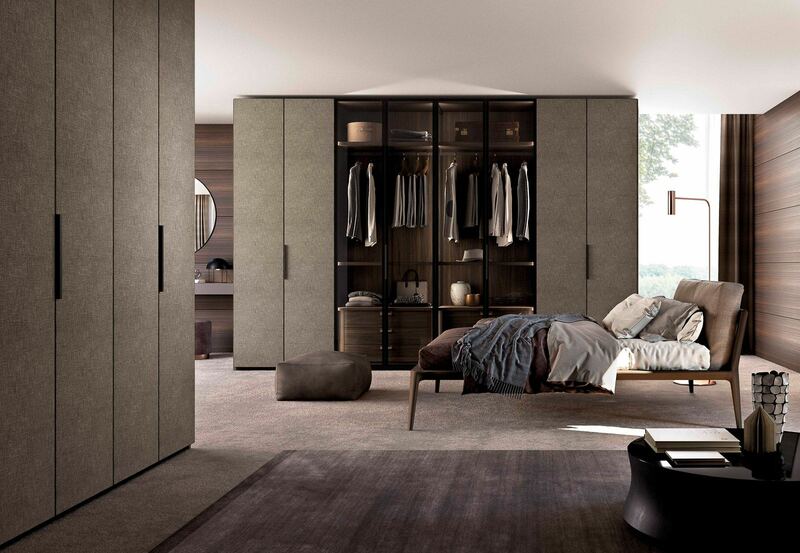 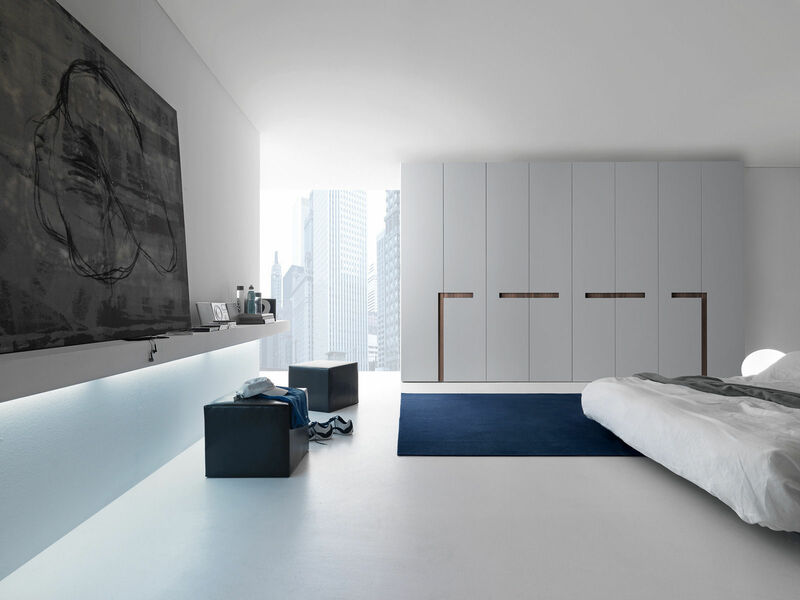 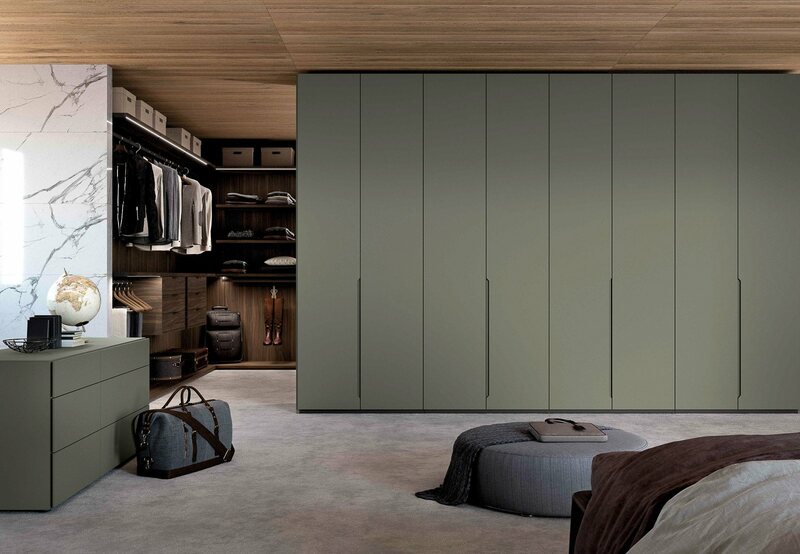 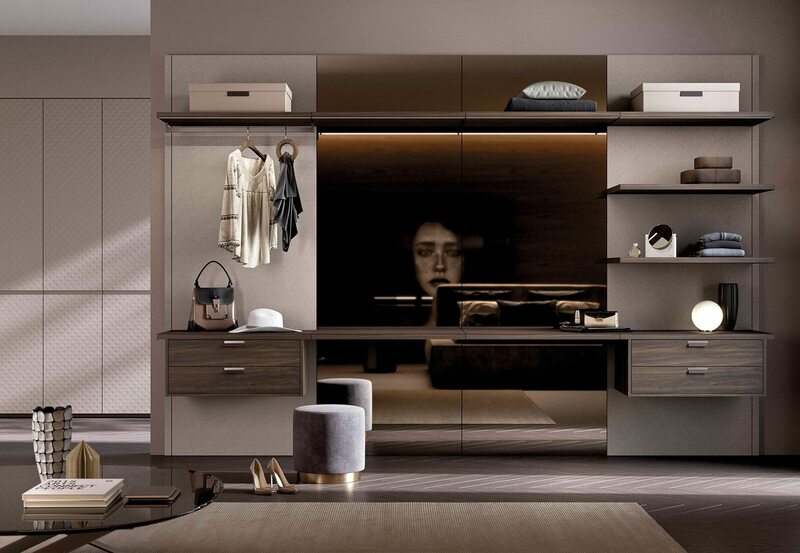 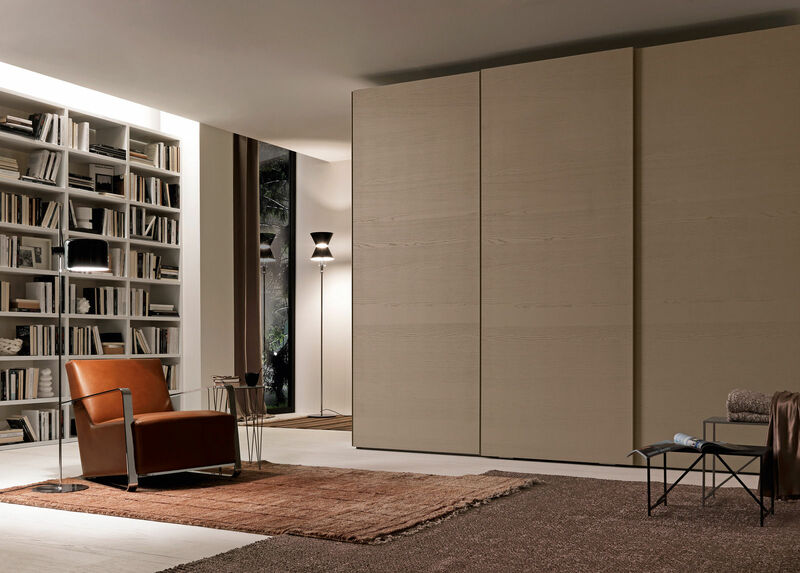 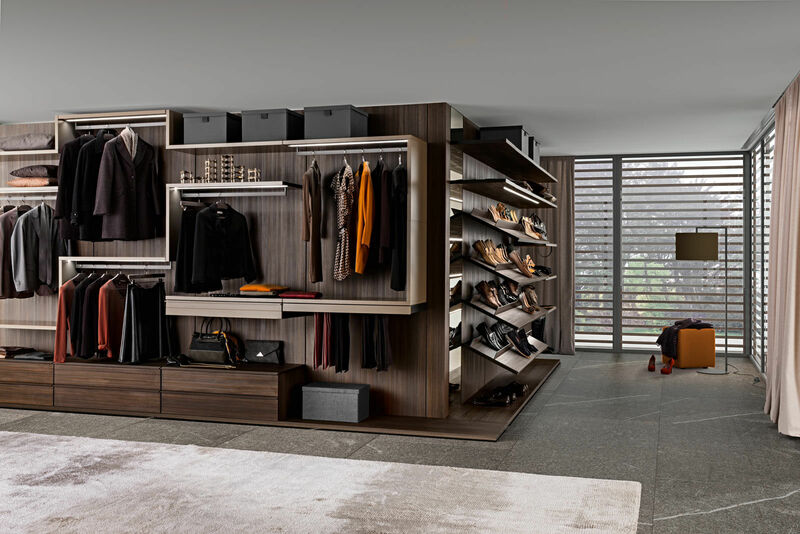 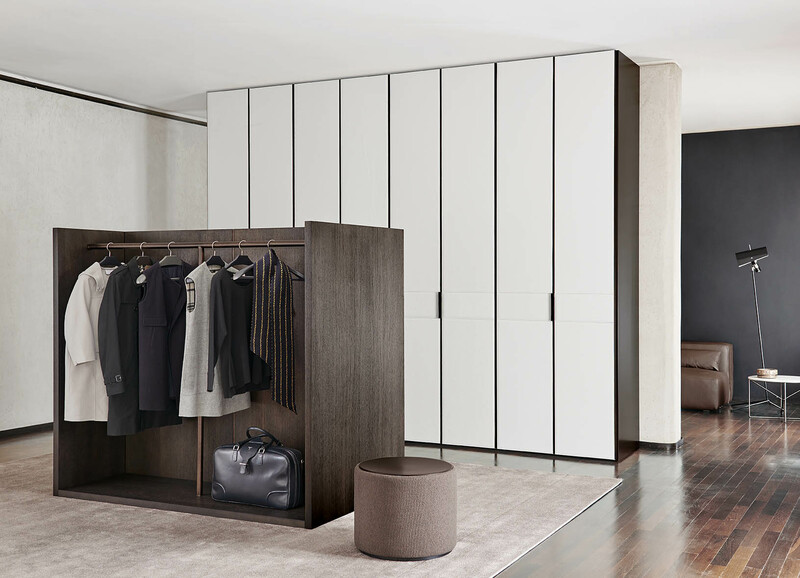 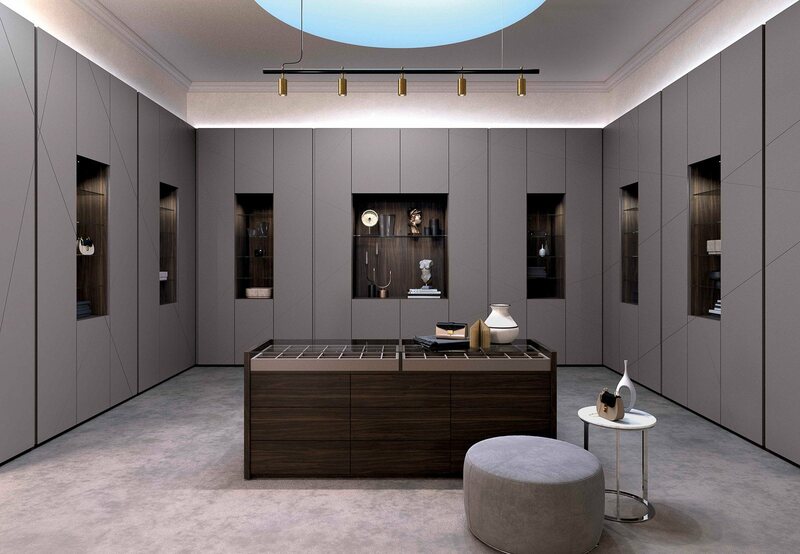 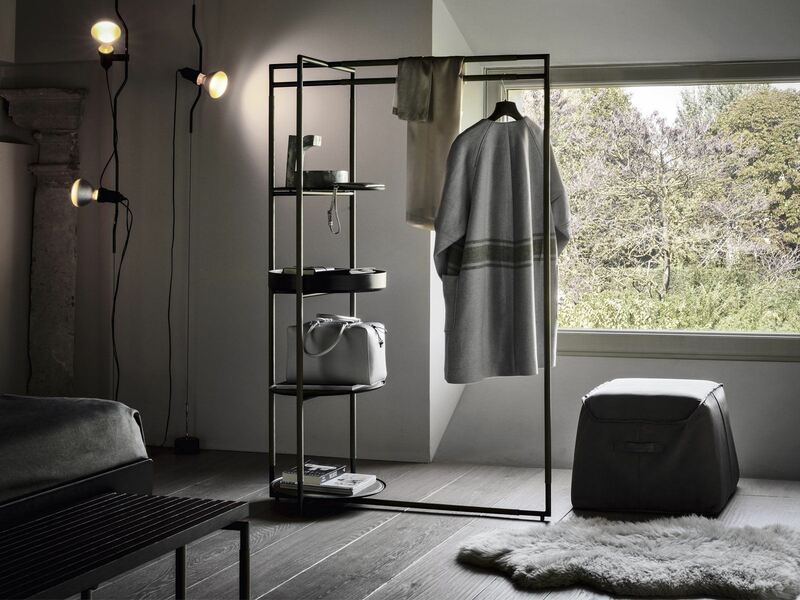 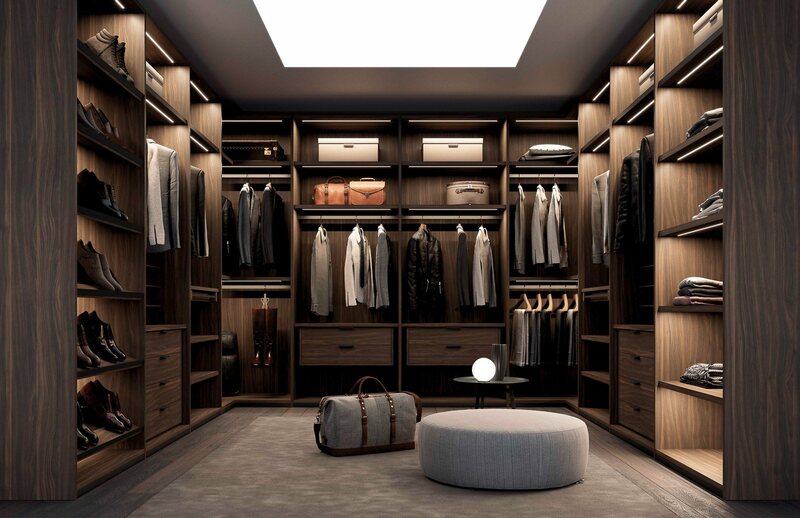 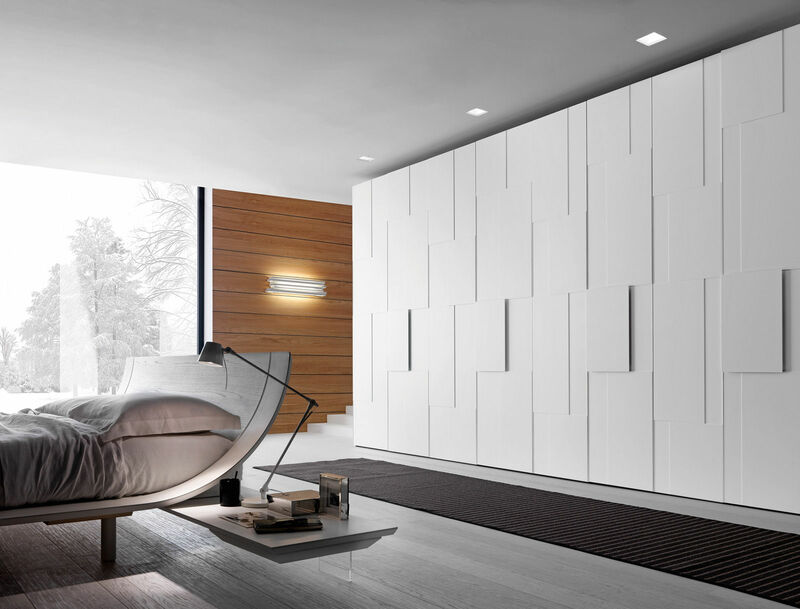 The wardrobe interior can be fully customised.